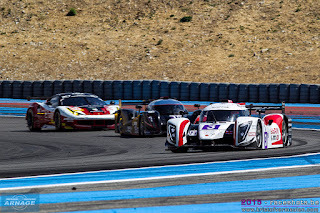 Club Arnage 2019: Anti climax for JOTA Sport at Le Castellet. 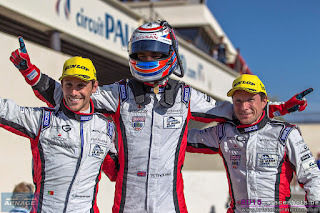 Anti climax for JOTA Sport at Le Castellet. Nothing but smiling faces at JOTA Sport after what seemed to be a perfect weekend for the British team. Pole position, first place after 4 hours and an 18 point lead in the championship before the final race at Estoril next month. Untill a decision of the stewards was posted concerning the driving time of Felipe Albuquerque. He exceeded his maximum time with 1 minute 57 seconds (say 1 lap ! 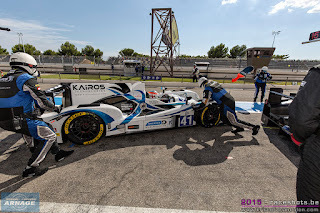 ), resulting in a 45 second penalty for the JOTA team leaving them with third place and only 1 point bonus in the championship ahead of Greaves Motorsport. The final race at Estoril next month now surely announces itself as a cracker with JOTA, Greaves and Thiriet all having the championship in their reach and the fast AF Racing BR01's looking out for their first win with the new and blimingly fast chassis. This morning, Harry Tincknell scored the third consecutive pole for the "mighty 38" this season, holding off both AF Racing's BR01-Nissan. At the start, Mikhail Alashin charged through to first place with Leo Roussel in the Pegasus Morgan behind him and Nicolas Minassian in the second BR01-Nissan in third position, leaving Simon Dolan (who took the start of a race for the first time in years) behind in 4th. Minassian quickly took over second place after which both BR01-Nissan's steamed away from the competition and built up a comfortable lead in the opening stages of the race. 70 minutes into the race, the first safety car was deployed after the #2 Team LNT Ginetta spun off track. 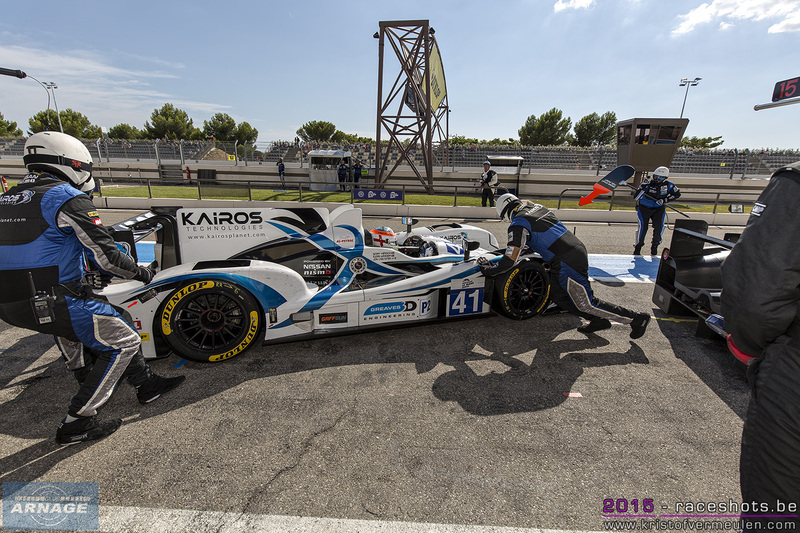 Meanwhile the #46 Thiriet Oreca fell back after a visit to the stands with brake problems. Dolan had a spin in the #38, giving both BR01's the chance to build up their lead again. 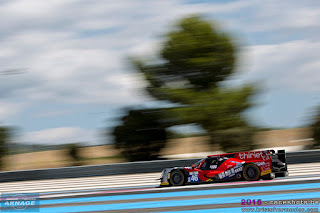 With 2 hours to go, the safety car came out for a second time as the #48 Murphy Prototypes went hard into the barriers at the end of the Mistral straight. Michael Lyons got out safely but the race for Murphy's men was over. After the second safety car, the race exploded with battles going on all over the place. 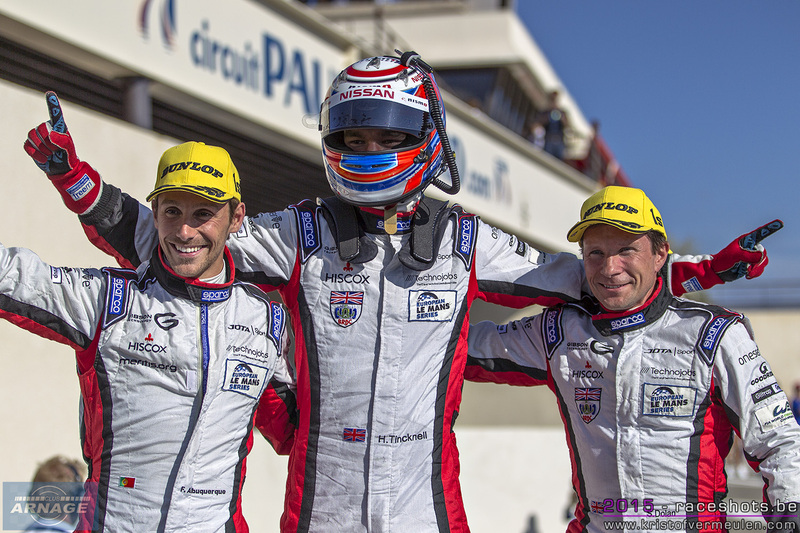 Tristan Gommendy flew through the field and took top position in the Thiriet Oreca05. Behind him Felipe Albuquerque, who took over from Simon Dolan, passed Gary Hirsch in the Greaves Motorsport Gibson to second place and started to close the gap to Gommendy. 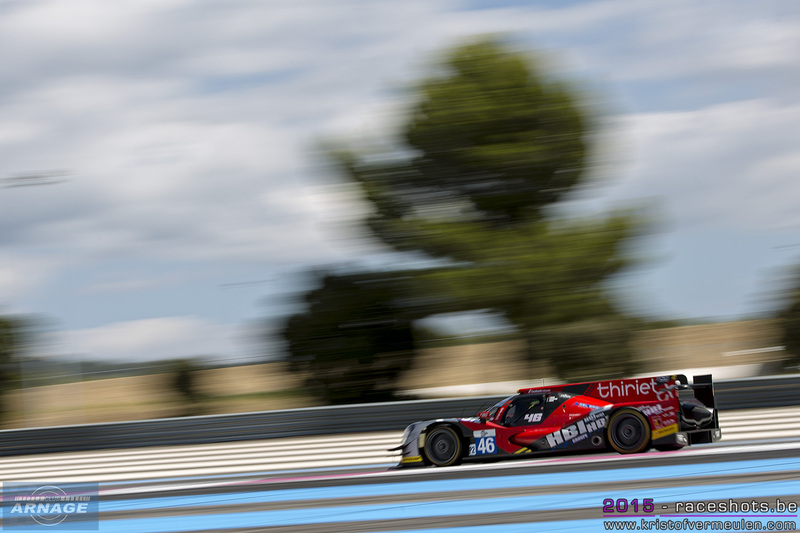 About an hour before the end of the race, Thiriet took over from Gommendy, handing Albuquerque the lead ahead of the #21 BR01 with Victor Shaytar behind the wheel. What followed was a nailbiting battle for third between the Oreca and BR01 with John Lancaster in the Greaves Gibson joining in. Lancaster was flying and went on to second place, closing in to JOTA ahead of the final pitstops. Tincknell took over in the #38 and headed out with fresh rubber for the remaining 45 minutes. Lancaster pitted soon after the leading car but was held up when the SVK LMP3 came in at the same time, taking his chances for the win away. Behind him, Kyril Ladygin steered the #21 AF Racing to third place, again showing the big potential of his new car. 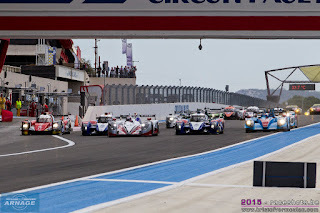 Further down the field, the #20 AF Racing came in fourth, ahead of the Krohn Ligier and the misfortuned Thiriet Oreca. 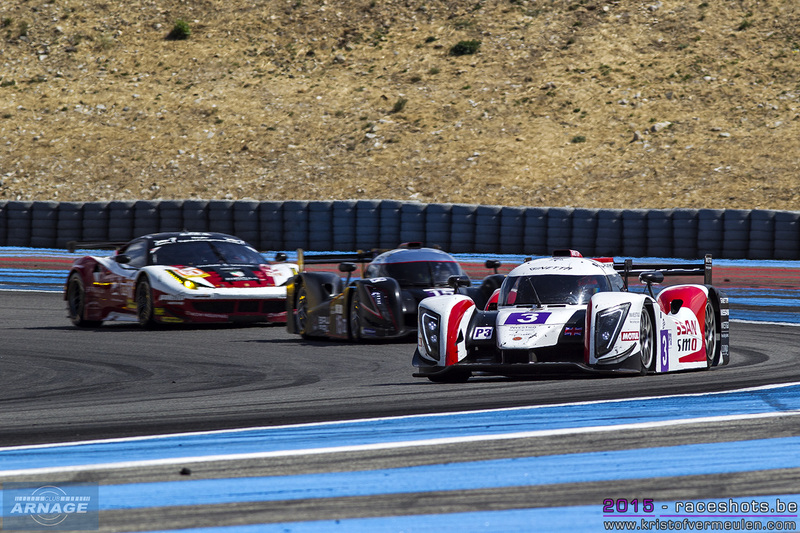 Sir Chris Hoy and Charlie Robertson took the win in the LMP3 class, and with that the first ever LMP3 championship. As to this morning they didn't have a clue to get a shot at the championship if they won the race, but kept their head cool and brought the #3 Team LNT Ginetta-Nissan safely to the chequered flag. 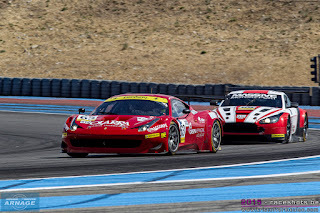 Gaëtan Paletou took an early lead in the #2 Team LNT car, but after a spin and contact with the barriers almost halfway the race, Robertson and Hoy had the championship in their hands. Ultimately they won the race with nearly a lap advantage to the second placed Villorba Corse Ginetta driven by Roberto Lacorte & Giorgio Sernagiotto. Formula Racing took their second win of the season in LMGTE with the #60 Ferrari F458 Italia. After strong stints of all three drivers, Johnny Laursen, Mikkel Mac and Andrea Rizzoli they won the race with a lap advantage to second placed BMW Z4 GTE from Marc VDS who finally got away from their collection of fourth places this season. The battle for third went to the wire, with JMW Motorsport taking a hard fought and well deserved podium in their yellow #66 Ferrari ahead of the #88 Proton Porsche. 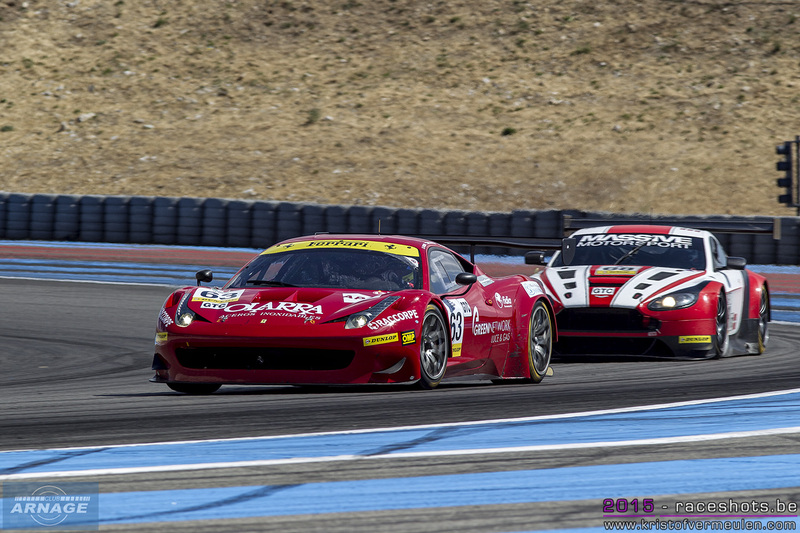 In GTC the #63 Ferrari took the best start and the lead in the first part of the race, ahead of the #59 Thiriet BMW and the #62 Ferrari. 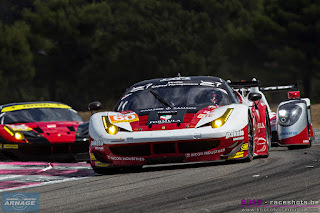 After the final stops, the BMW was lying first with enough margin to hold of the charging #62 AF Corse Ferrari. The all Danish Aston Martin Vantage took third place and scored their second consecutive podium after Austria in July. The final race of the ELMS season will take place in Estoril on 18 October. 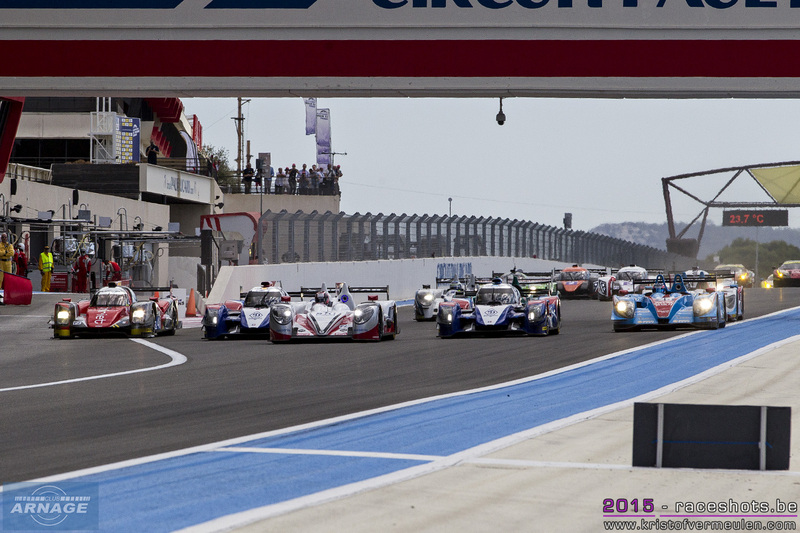 With the LMP2 and both GT titles still undecided, tension will be high and we should be in for an exciting weekend !